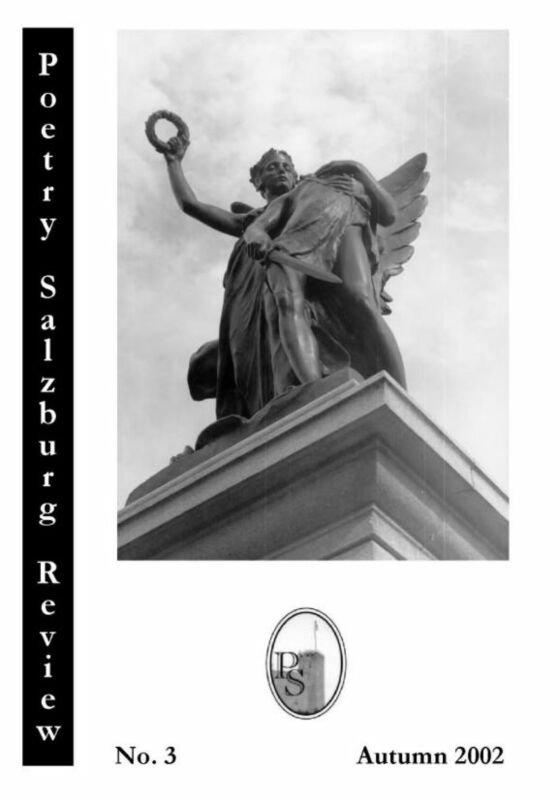 Poetry Salzburg Review No. 3 was published in Autumn 2002. Ines Kogler's interview with the Scottish poet tessa Ransford is both stimulating and encouraging. Challenging the idea of a "market" for poetry, (if you sell you're a poet, if you don't, you aren't), Ransford says, "I don't want a market. I want a good readership". Asked about the publishing scene in Scotland, Ransford replies that, although there is a lot of poetry activity, there are hardly any publishers. "We have to get away from books," says Ransford, "and turn to the small pamphlets, and not regard pamphlets as something inferior, but as important. It's a myth that publishers know good poetry and that you're a failure if you can't find a publisher ... Why wait for some hack in a publisher's office to tell you you're OK?" Why indeed? To counteract the malaise, Ransford has initiated an award for poetry pamphlets each year in memory of her husband. She is interesting on form, on gender, on voice. I am delighted to have found this inspiring woman, and some of her feathery, inspired poems, in these pages. Allen Fisher, also interviewed, likes to "leave the dirt on": the machinery showing, as it were. Extending the concept of rhyme, Fisher is happy to rhyme 'grass' with 'chlorophyll'. Excuse me?